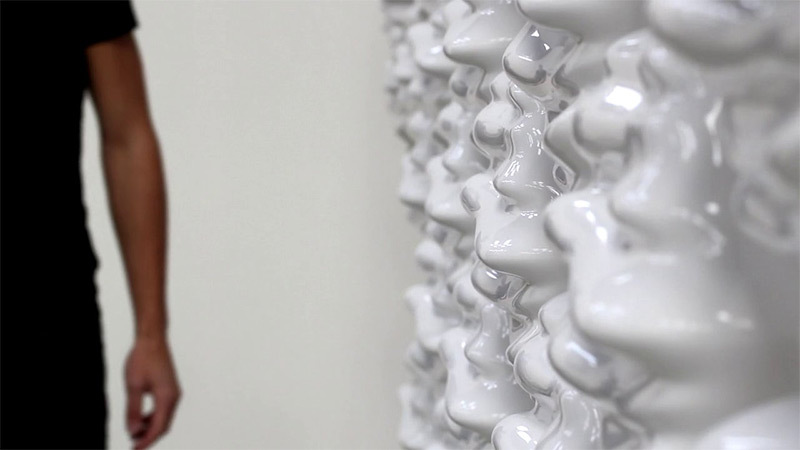 Its called Hexi and it is an interactive display that ripples like a pond in response to movement. 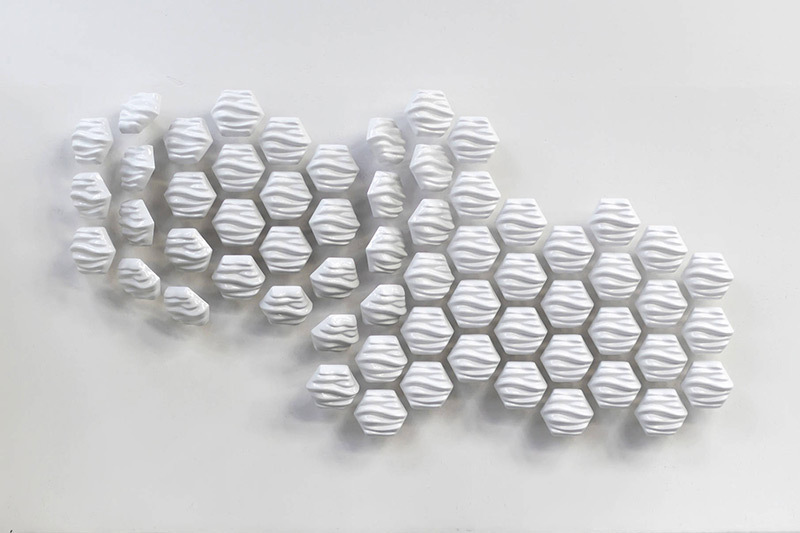 Its brainchild of Designer Thibault Sld who created this wall of 60 modules loaded with servos, together called Hexi, which undulate in response to movement--whether that's a touch of the hand, or running past, or something else. Nearby motion-sensing cameras detect where a person is interacting with the wall, and send a signal to the servos to vibrate accordingly. Thibaut describes himself as a graphic designer. Although he’s based in Canada, Thibaut got his design skills from several French schools of fine arts. He loves to create dynamic and interactive projects questioning our relationship with artifacts, space and technology. You can read a little more about Sld and the project HERE.